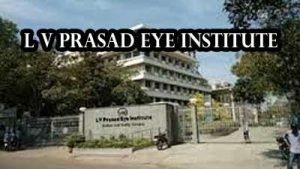 Hyderabad: The World Health Organisation (WHO) has re-designated city-based L V Prasad Eye Institute (LVPEI) as a WHO Collaborating Centre for Prevention of blindness for a further period of four years, the hospital said today. LVPEI is the only healthcare institution with this status in Telangana and Andhra Pradesh, and one of the only eight centres around the world in the area of prevention of blindness, a press release said. The collaborating Centres cooperate with WHO on a diverse range of activities such as strengthening eye health workforces, generating data on the magnitude and causes of visual impairment, advocating greater political and financial commitment to eye care, developing and implementing national eye health policies, plans and programmes, the release said. The centres also gain opportunities to work together like sharing objectives, exchanging information, pooling resources and developing technical co-operation, particularly at the international level, it said. Established in 1987, the institute has served over 26.04 million people, over 50 per cent of them entirely free of cost, irrespective of the complexity of care needed, the release added.